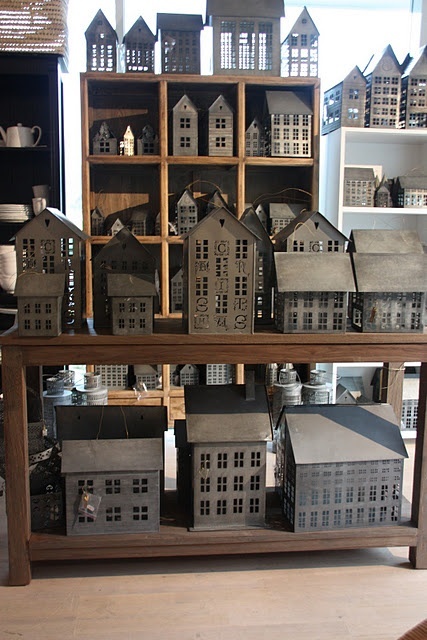 I’ve been loving all the fabulous zinc/tin lanterns I’ve been seeing lately, but have you seen their prices?! Ouch! Not in my budget! So I’m going to show you how to turn anything into zinc with just two quick steps! You’ll need a house, of course! 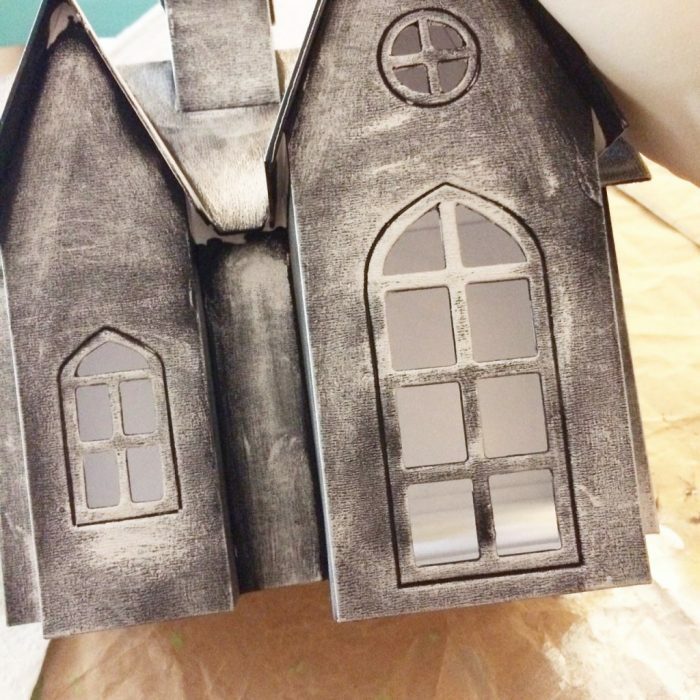 I found this white paper house at Target, but have seen similar houses at craft stores. First, paint your item solid black. 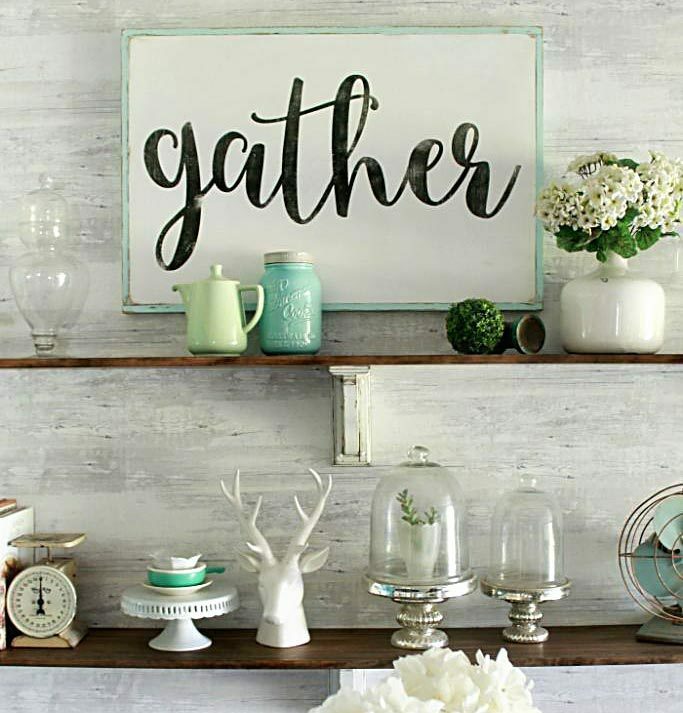 You can use any black paint you have on hand, you can even use black spray paint. Second, get yourself a rubber glove and a tiny tube of rub ‘n buff in silver leaf. This tiny tube will last you ages, I seriously have had a tube for 10 years! I found it at Michaels. I apply it with my finger, hence the reason for the glove, but you could also use a bit of paper towel. Apply the tiniest amount of silver rub ‘n buff to the tip of your finger (a little goes a LONG way) and apply haphazardly over your piece. You don’t want it to be solid silver, you want bits of black peeking through. Continue until your piece covered, and that’s it! See? Easy! I made one for my coffee table, and used the same technique for the houses on my mantle. 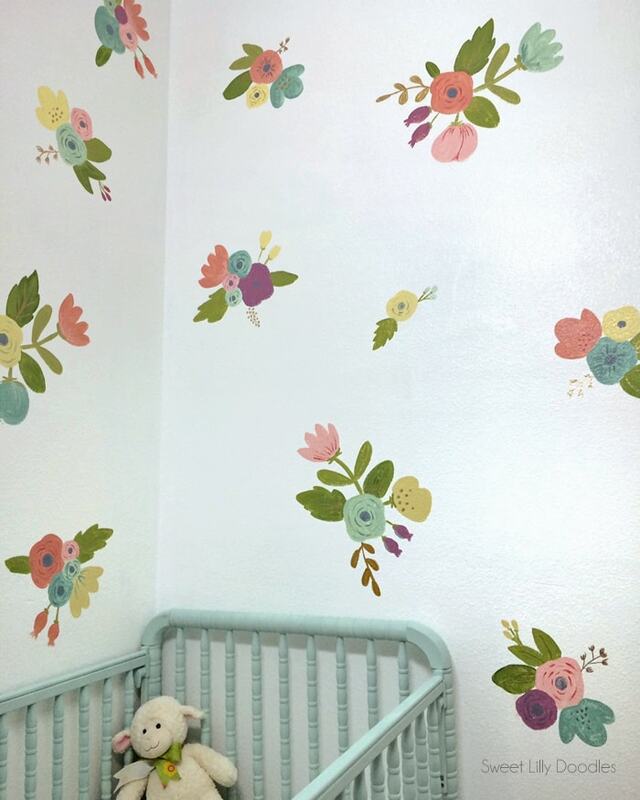 So quick, so easy, so cheap, and so cute!! Please PIN so your friend’s can make these too! 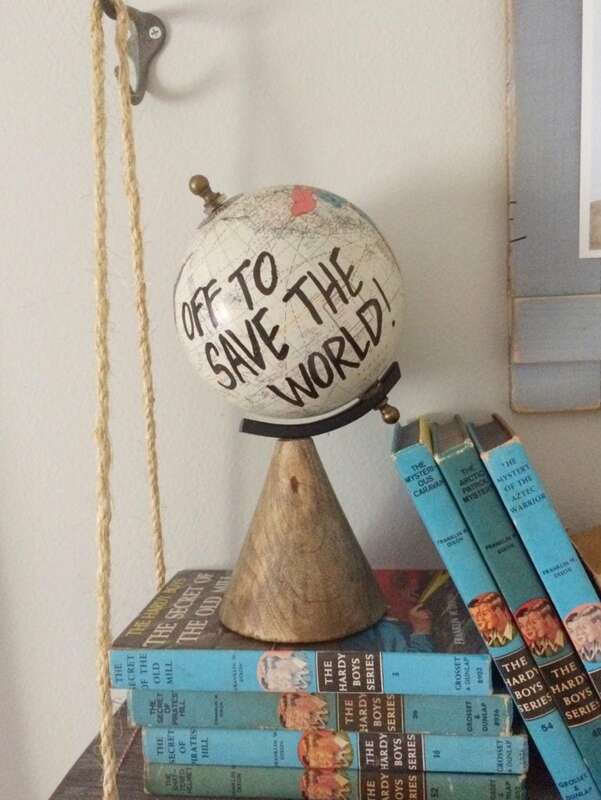 and her DIY Superhero Globe! 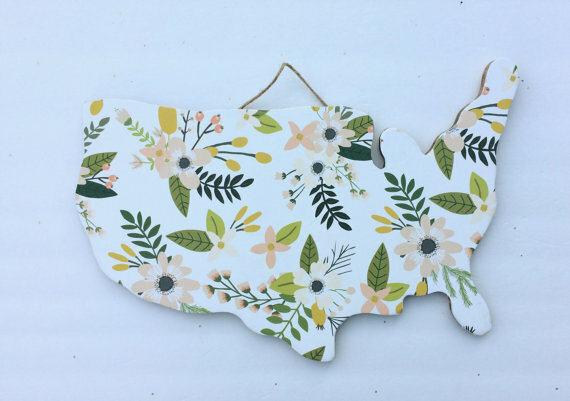 or her Floral USA Map Wood Cut Out, so cute! Well, where have I been? 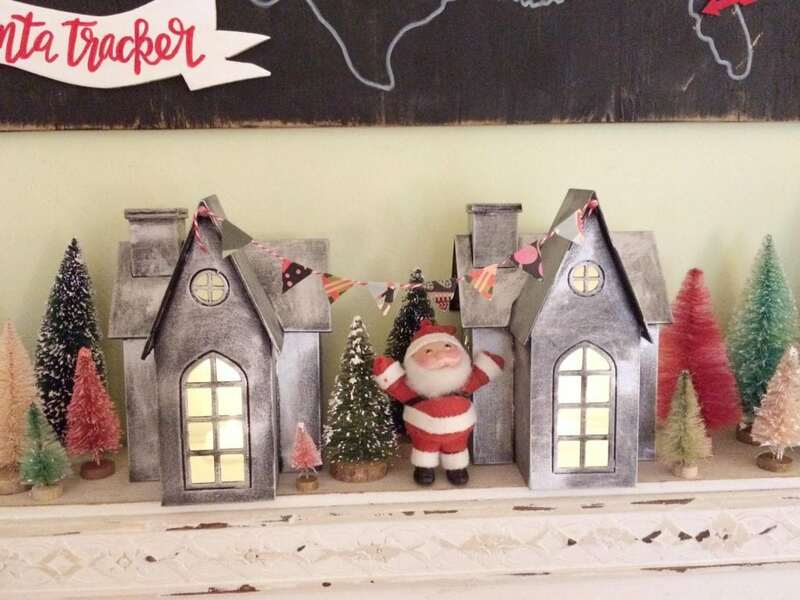 I have not seen zinc lanterns flying around the web. lol! But I sure do love these houses! You did an amazing job. I haven’t used rub and buff for years. I’ve got to get me a tube! Thanks for sharing with the Creating Christmas party. These little houses are so cool. I just love them! Thanks so much for sharing this. Jane, The metal houses are expensive and I passed on them again this week as the price on sale was still a bit too much. This idea is wonderful. I am working on a photo calendar for next year and this craft would fit right in. Thanks for sharing. Sylvia D.
Soo cute- I love them! 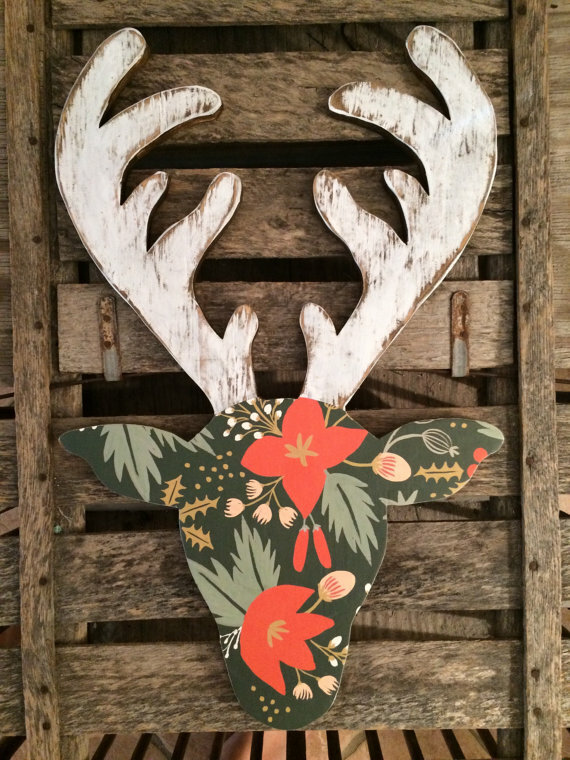 Thanks for linking up at FNF- and Merry Christmas! 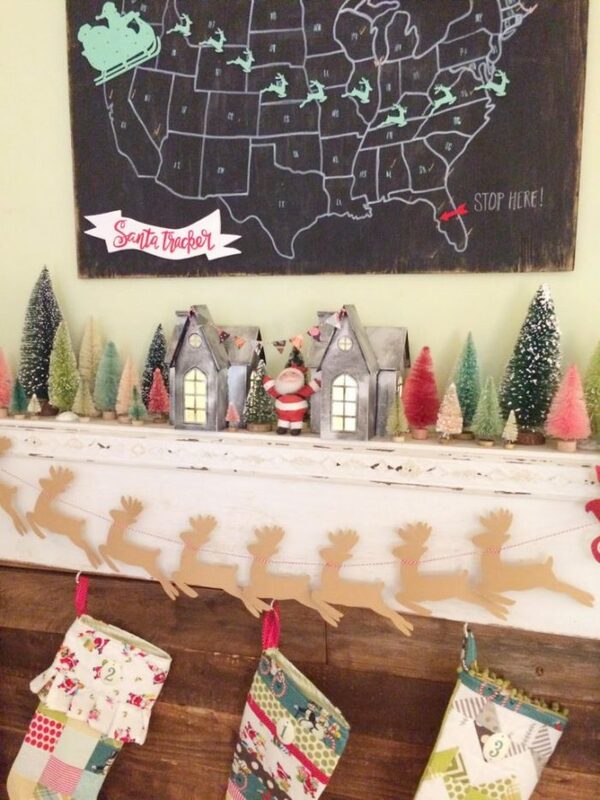 I love the look of your houses but even more I love your map with Santa! Does that have a tutorial too? What a cute idea. I love the reindeer garland too. Thanks for sharing on Sunday’s Best. I’ve been drooling over these houses for weeks now but like you am not at all crazy about those prices. This of course is the perfect solution to get the look we want without the price tag. I was unable to find the tutorial for the Santa tracker map. Do you have a link?